New in Tokyo? Want to make some new friends? Welcome to the InterNations Newcomers' Event in Tokyo! InterNations Newcomers' Event is the best chance to start experiencing InterNations Events and learn more about our community in Tokyo. 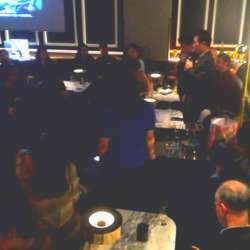 For this winter event we are going to taste the luxurious warming-up bar at Roppongi, where a non-smoking floor is reserved for InterNations – simply a perfect place to meet new people and mingle after work as well as to enjoy a first cocktail together with other global-minded InterNations Members. This time we've worked out a special deal for InterNations members to have access to very seasonal fruit cocktail, alcohol and food for 500 yen all night long! The venue is on the main street of Roppongi, easily reachable from Roppongi station. You are welcome to come and join the only truly international community in Tokyo! 1. Please click 'Cancel attendance' if you cannot make it. 2. 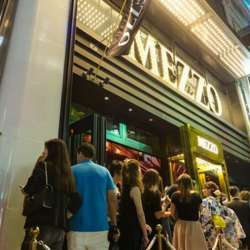 Mezzo is open from 19:00, please arrive at the venue after this time. 3. To make the check in faster, mention your FIRST NAME to the host at the door. 4. Mix, mingle and have a great time. 5. Please do not crowd the bar area and utilize all of the floor for socializing. 6. Please consume at least 2 drinks during the night.